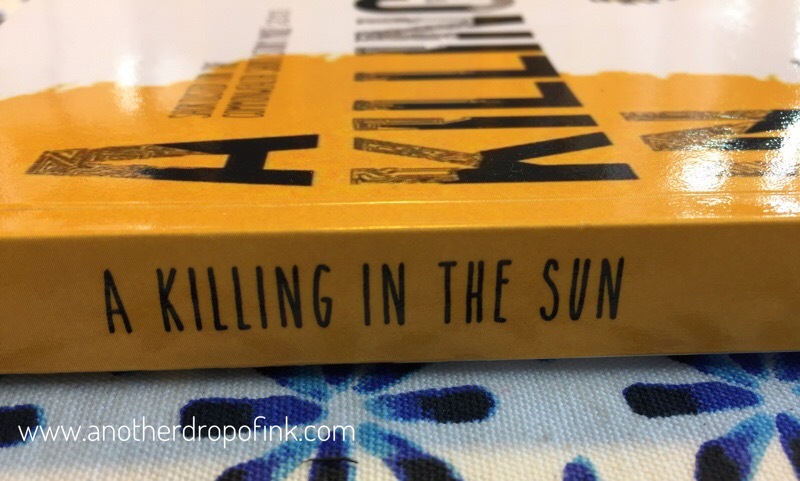 Synopsis: A killing in the sun is a collection of speculative fiction from Africa. It draws from the rich oral culture of the author’s childhood, to tell a wide variety of stories. Some of these stories are set in a futuristic Africa, where technology has transformed everyday life and a dark force rules. Others are set in the present day, with refugee aliens from outer space, ghosts haunting brides and grooms, evil scientists stalking villages, and greedy corporations creating apocalypses. There are murder mysteries, tales of reincarnation and of the walking dead, and alternative worlds whose themes any reader will identify with. This collection is deftly crafted, running along the thin boundary of speculative and literary genres. Review: I cannot begin to tell you how much I enjoyed reading this collection of stories. Straight up loved it. My favourite genre has always been sci-fi and fantasy, and now I can firmly wedge speculative fiction (though I don’t know what the difference is between it and fantasy) into that mix. When I was compiling my reading list, I really wanted to have a few from my favourite genres in there and since I’ve honestly never read any sci-fi African writers, I had to google them. I was pleasantly surprised to find there are a lot out there. I loved this book cover so picked it as one to read and voila! I was not disappointed. I’m going to admit that I didn’t read the synopsis, diving headlong into the book before discovering that chapter two was a different story altogether. At that point I (quite annoyed) looked at the blurb on the back only to discover it was short stories. I didn’t mind at all, but jeez, the first story is so good I wanted it to go on! Dilman’s writing style flows off the page and I lost myself in each and every story. I can see why it was shortlisted for the commonwealth short story prize in 2013. I’d love to see the winning entry. It’s going to be very hard being critical of this book because I unashamedly loved it. So where do I even start? There are ten short stories in the collection, each of them perfect for a coffee and croissant sitting over ten hours or ten days, whichever suits you. I’d definitely recommend savouring each story. This is hard. Because they’re short, I don’t want to spoil each story for you by giving a detailed summary. Okay, I’m off to google ‘how to review a short story collection’ then I’ll come back. Okay? Hold on there a few minutes. It wasn’t a very helpful exercise to be honest, but I’ll really try not to spoil it for you. So, The leafy man is the first story, and we hit the ground running. An experimental cure for Malaria goes drastically wrong and we get a glimpse into just how wrong. Given that this is one of Africa’s biggest killers and one I hope they solve in my lifetime, I was chilled to the core. It would make a brilliant sci-fi novel if the author ever wanted to expand it. The healer looks at that other giant that flows throughout the continent- juju vs religion. How could the two live side by side in an alternate Africa where magic can be harnessed for either good or evil and religion is a mask to persecute the other? How does one let go of the past? I especially liked the healing that comes with letting go of the past and immersing oneself in present relationships that this story brought. That when we make new meaningful attachments, only then can we begin to move forward. Itanda Bridge…great story. Again very simple but very otherworldly feel to it as well. It also illustrates the disparity of power between the military and the ordinary citizen. How can you possibly get out of a situation when you’re told you have to help the government. Perhaps here in the west it’s possible to ‘lawyer up’ but in most parts of Africa? Good luck! So how does our hero get out of a mission he’s not given any information on, that doesn’t make sense and that is endangering his life? A Killing in the sun …this one I didn’t like so much. It was an okay story but just didn’t do it for me. I found it too abstract and not sure what it was trying to convey. It started out very well and was one of the only stories to make me guffaw with laughter. In particular, the description of the prosecutor and his fainting were so vivid that I felt Right there in the sun with the people. The doctor’s truck had me from the start. I really liked the twist in the story which can so easily happen in the village, especially from such an unsuspecting source. It had me wondering at the lack of education in villages, the constant belief in witchcraft and how much both hold us back. Lights on water is beautiful. From the easy flowing writing to the easy descriptive language, this could easily have been a hundred pages long and a lovely story. I’d actually anchor this to A wife and a slave as they seem set in the same futuristic Africa. 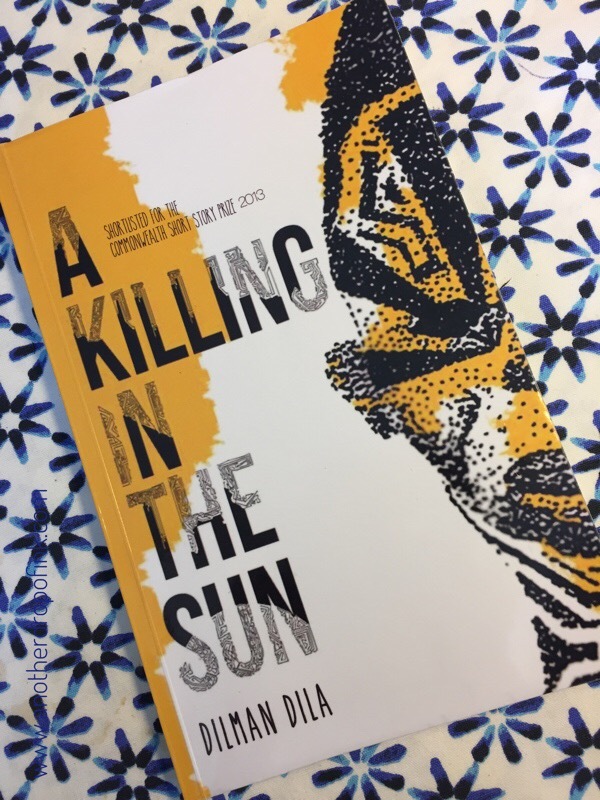 Both offer a glimpse into an Africa that’s reclaimed its identity from a hostile world, where culture and tradition has been reclaimed but also twisted by politics to suit a different agenda. How does this affect the individual who can’t conform? Who wants something other? Who questions the status quo? In the current age of nationalism and excessive patriotism who knows, this future is a definite possibility. The yellow people is just genius! Pure and simple. Flawless story telling and a very simple idea. I actually don’t want to tell any more on this one as I wouldn’t know how not to spoil it. I loved it. I found Okello’s honeymoon quite haunting. This is a very typical African female ghost story, but the way Dilman twisted it was just…*shiver*. Very simple, very straightforward manner of story telling but it stays with you. A bloodline of blades was a nice way to close off the collection. This is the fantasy tale that questions what lengths a parent would go to protect their child. I liked the way it was written, the story itself and even the heartbreaking end. Seriously, I can’t praise this collection of stories enough. You just have to buy a copy, borrow it from a library or friend, whatever. There are fantastic writers out there and Dilman Dila is certainly one of them. Based on this, I’d gladly read all his other works, and I will. It’s also been a great inspiration because this is the genre I’m trying my hand in, and I didn’t thing it would be of much interest, nor did I have a tangible visual (does that even make sense?) of how it would look. reading these ten stories has sharpened my focus considerably. I got my copy from the book depository and if you follow my link, I get a 5% commission to feed my book addiction so just being upfront with you there that it’s an affiliate link. But whether you get it there doesn’t matter. Read, discover new writers and travel to distant worlds while sitting in your own home. I’m off to read my next book. Thanks for stopping by.